Cargo Pants Are Back, But At Old Navy They Never Left | Gap Inc.
As recently reported in Business of Fashion, the cargo pant is back… but the cargo you see in stores today isn't the cargo you wore in the 90s. So, why is it that the cargo has remained a tried and true favorite? 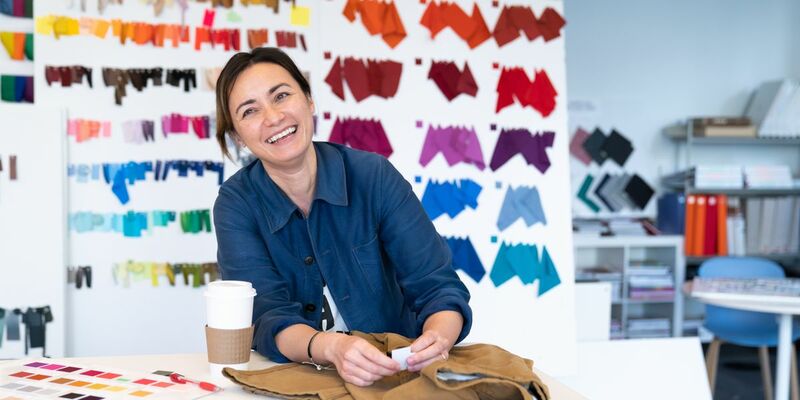 Old Navy’s VP of Men’s Design, Chantal Williams, broke it down for us. What makes the cargo a tried and true favorite at Old Navy? Old Navy opened its doors 25 years ago, and we’ve been carrying cargos since the very beginning. It’s been a classic staple that our customers love and buy over and over again (as seen by our consistent 5-star rating by our male customers). It’s also a functional and versatile design that can look feel effortless, while helping our male customers feel put together. I love that the cargo is having a fashion moment, but at Old Navy, our cargos never really went out of style. How do you make sure the Old Navy Cargo stays cool? We work hard to make sure we’re offering the best interpretation of the style while staying true to the fits we know he loves. We’re known for cargo, and he relies on us to bring to him new, updated versions. We’ve put a lot of effort into making sure the design, silhouettes and fits have stayed relevant - think tech meets utility. We want this wardrobe fave to have a clean aesthetic with technical fabrications that are fashionable and functional. 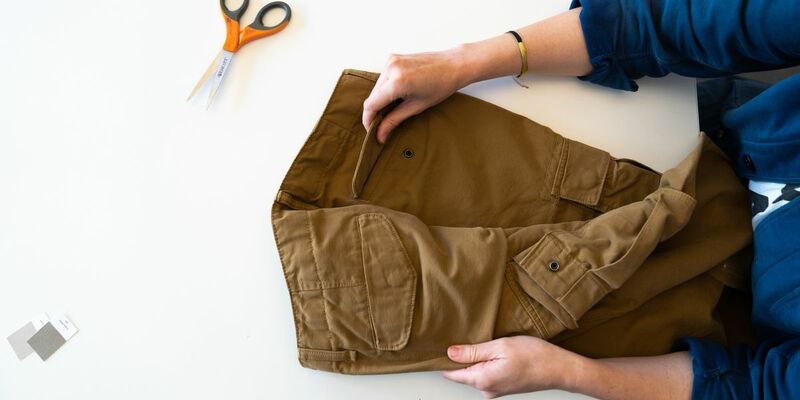 We know our guy is busy and needs his clothes to take him throughout his day, so we’ve designed the cargo to include innovations customers might not expect, like moisture-wicking materials and durable, rip-stop fabrics. We’ve also engineered Built-In Flex stretch technology for equal parts comfort and movement. Are there different versions of the cargo? Yes – the cargo has evolved into multiple styles. Our core cargo, called Straight Lived-In Built-In Flex Cargos was updated for our fall 2018 collection. We added stretch, and cleaned up the pocket detailing. The fit is straighter, making it more up-to-date. We’re also offering new washes to give the style some architecture and a more “lived in” look. We also offer new silhouettes, like the Built-In Flex Dry Quick Ripstop Utility Joggers to make sure the cargo feels modern. It’s a great option for customers looking to try something new and on trend. Our Lived-In Built-In Flex Cargo Shorts is a top style in the Men’s division, especially when the weather is warm - he always gives the feedback that he loves the functionality of the pockets. So, guys really use the pockets? Yes! Our customers love the pockets. When our team is designing, we always ask ourselves, “are these pockets deep enough to hold all his gear without looking too bulky?” It’s important to the customer that their cargos can hold a phone, wallet, keys, etc. – so we design with this in mind. We’re obsessed with the details because we know he is, too. And, how should guys style the cargo to look cool and relevant? There are a lot of ways to style the cargo so it feels new and fresh. First, start with the fit: when choosing a cargo, make sure it fits well – not too baggy. I love the cargo styled with a slim fitting chambray or oxford shirt. For an effortless look, throw on a graphic hoodie under our denim trucker. And you can never go wrong by pairing cargos with a classic tee. If guys still need some suggestions, our in-store mannequins offer a lot of styling ideas. I’m excited to see the cargo back in the spotlight, and can’t wait to get a few pairs myself!